I love a good photobooth! Whenever I throw events, it's always fun to have a spot to snap some shots that are Instagram ready. 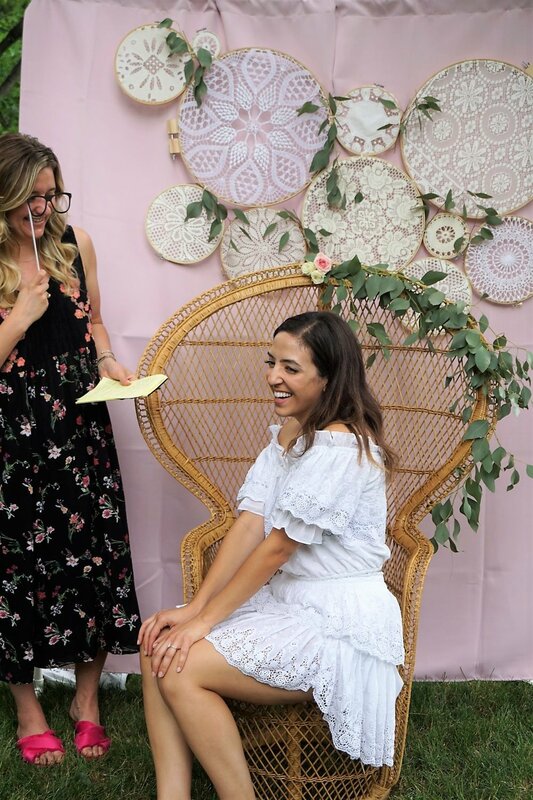 It might sound fancy, but photobooth backdrops don't have to be expensive. For my '80s themed birthday party, I just used inexpensive supplies and some wall space. But, when the party heads outdoors it gets a little more challenging! 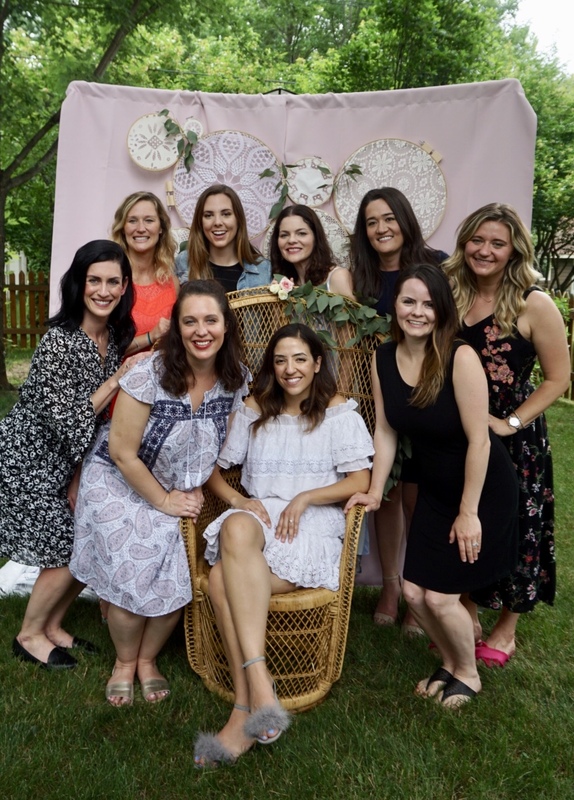 Last summer, I borrowed a stand from a friend to create the photobooth for a Dr. Seuss themed baby shower, so when I had the chance to throw a bridal shower outdoors this summer, I decided it was time to look into making a stand of my own! In doing a little research on Pinterest, I came across a great tutorial from Happiness is Homemade. For around $10, she put together a great reusable stand to use inside or out! In looking at the dimensions, however, I wanted to make mine a little bit larger for adult guests, so we went with 7 ft tall x 6 ft wide. With some help from my handy hubby, here's our tweaks to the supply list and measurements. First, cut all listed pieces before beginning assembly. 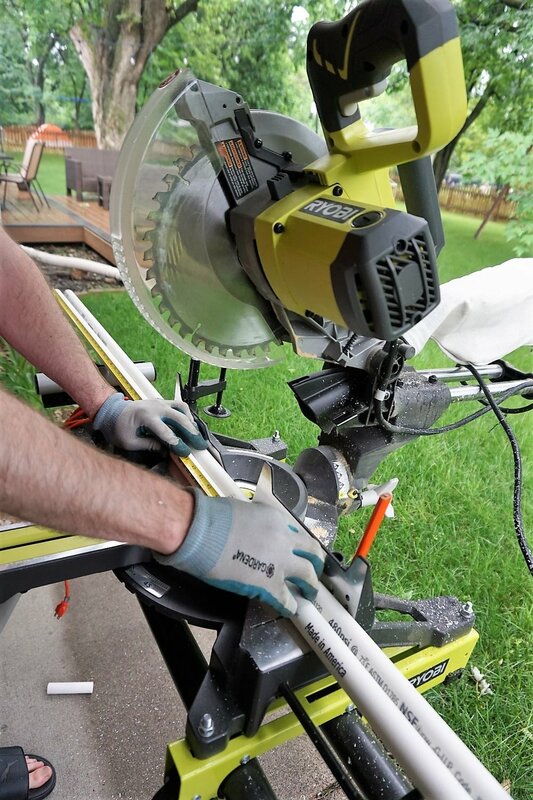 We used a miter saw, but you can also use a PVC pipe cutter. The 7 foot pieces will then need to be cut exactly in half and attached with two of the "T" pieces. One of the 6 foot pieces will be the middle support. The remaining 6 foot piece will be attached at the top of the stand with the two "L" pieces. The feet pieces can be attached with the remaining two "T" pieces and sealed off with the PVC end caps. And, there you have it! A few lessons learned. This isn't going to be the most sturdy item you've ever made. We used some bags of heavy dirt we had in the garage to provide more support over the feet. If it's windy, it may also sway a bit, but we had good weather. 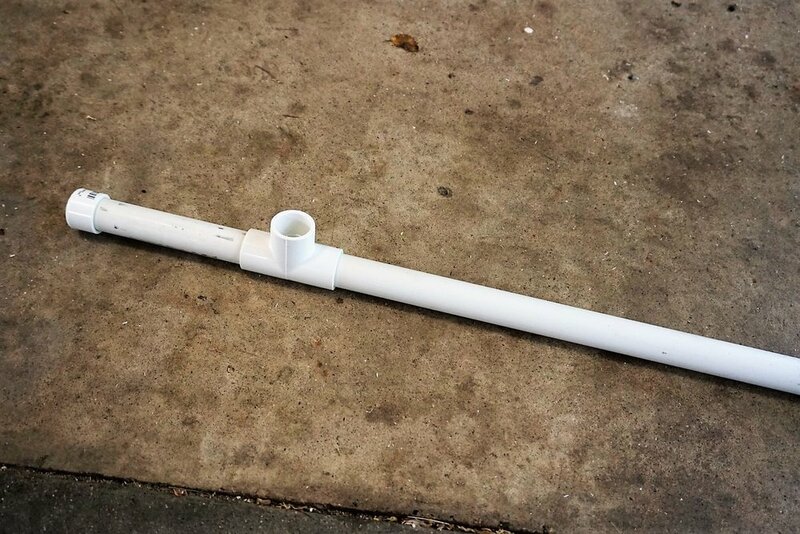 If you want to create a sturdier stand, I'd recommend using metal pipes. Weather won't be an issue when using it inside! 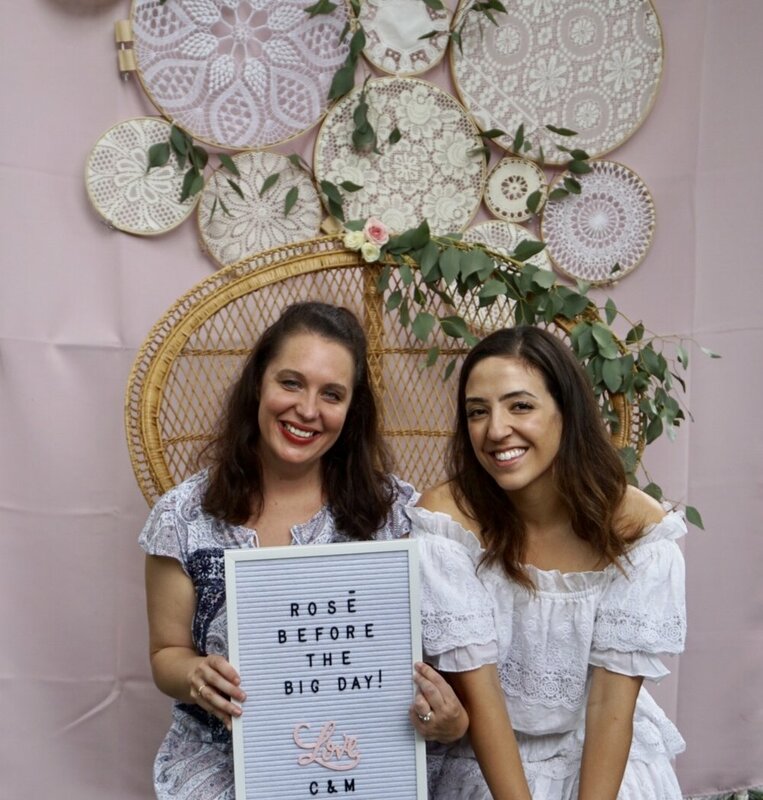 To create a backdrop for the Rosé Before the Big Day bridal shower I recently threw, I started by ordering some blush pink curtains from Amazon. The removable bar on the top of the stand, makes it easier to add curtains on or clip on fabric for a backdrop. 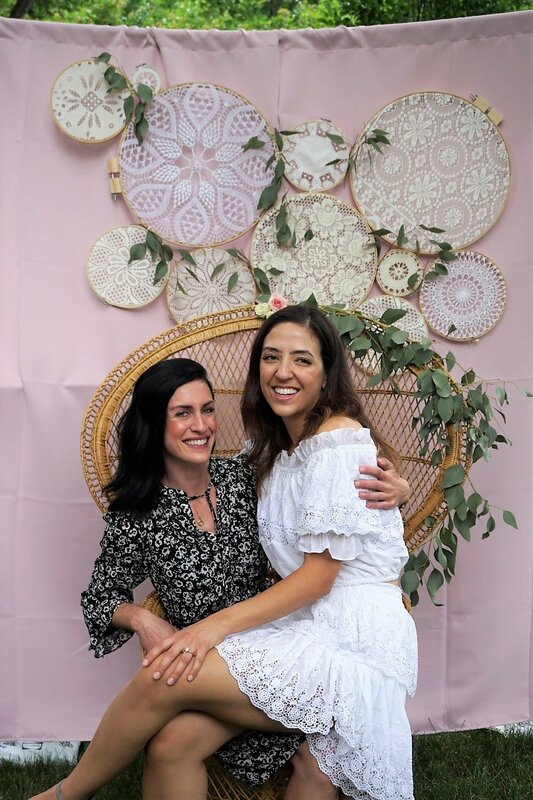 To add a little of the boho flair I was going for, I shopped for a variety of vintage lace doilies at thrift shops and garage sales over the course of a few weeks. You can find a variety of styles and sizes ranging from $.10 to $1.50. You can also usually find larger lace tablecloths or curtains that you could use as well. 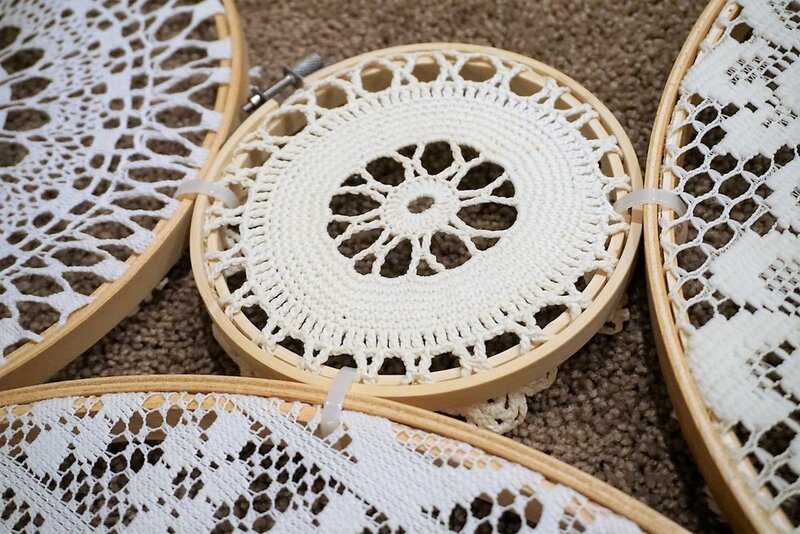 Next, determine the sizes of embroidery hoops you need. I found a few at the same thrift stores and garage sales and picked up some of the larger ones at Joann Fabrics. 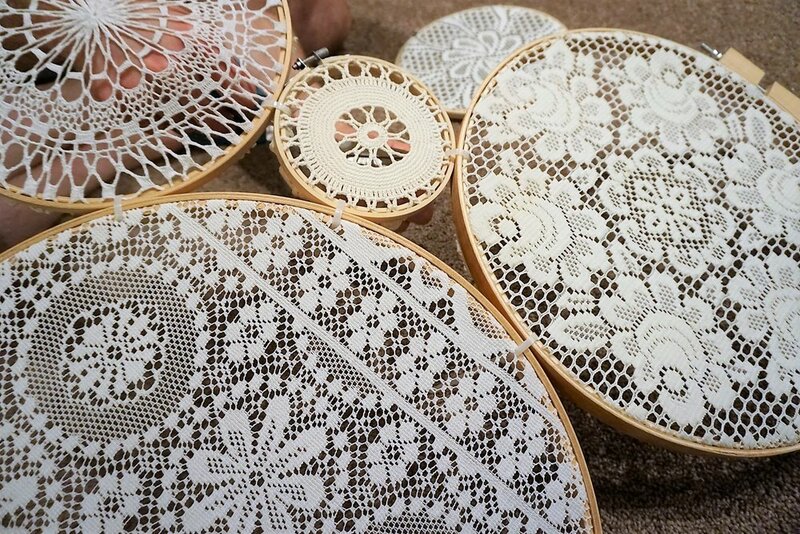 Secure each doily into an embroidery hoop. Cut away any excess fabric using scissors. Next, I arranged them on the floor, moving around pieces until I liked how they looked together. I wasn't sure if hot glue would be sturdy enough, so my hubby suggested using clear zip ties. Gotta love this man, he sat on the floor with me constructing this the night before the shower! Once everything was attached, we used string to tie it to the photobooth stand. Add in a little greenery and you're set! I love the dreamy boho vibe!